New York today awarded 83 prizes of $100,000 each for community microgrid feasibility studies through the $40 million NY Prize program. The planned community microgrids are located throughout the state but are heavily centered in the demand-heavy southern tier that includes New York City, Long Island and MidHudson Valley. Spurred by Superstorm Sandy, the program is part of the state’s drive to put local energy on equal footing with conventional central power plants through the state’s Reforming the Energy Vision (REV). The 83 communities were selected from among 130 cities, villages, towns and municipalities that sought the Stage 1 NY Prize awards. The program is administered by the New York State Energy Research and Development Authority (NYSERDA). 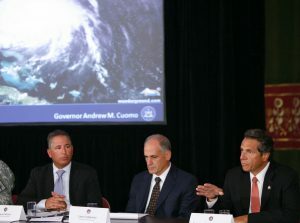 Richard Kauffman, New York State chairman of energy and finance, described the response from communities as “overwhelming” and a sign REV meets the needs of New Yorkers. “The NY Prize competition brings together local leadership and private sector innovation to develop clean, resilient and affordable power solutions for communities from the South Fork on Long Island to Buffalo and the North Country,” he said. Following the feasibility studies, the state will narrow the list and award up to $1 million per project for engineering studies and business plans. And finally, in stage three, NYSERDA plans to select five to seven winners that will receive up to $25 million to build community microgrids. Winners include local governments, community organizations, non-profit entities, for-profit companies and municipally-owned utilities. 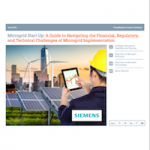 All winning community microgrids must be integrated into utility networks and serve multiple customers, including at least one critical facility, such as a hospital, police station, fire station or water treatment facilities. For more details, read our analysis: NY Prize Stage 1 Awards: Who, Why and What’s it Mean for Community Microgrids. I really like your website. I am a full on fisher so this stuff really appeals to me and my friends. Thanks.